God, frugality, multi tasking, and coffee. I’m sitting here listening to my great music on my free Pandora online as I write up a blog piece and sip my afternoon cup of coffee. I have bread rising on the kitchen counter and a pot of beans simmering on the stove. Laundry is washing itself in the garage and my kids are playing well in the living room. Yes, my desk is actually in the kitchen…kind of in between the dining area and kitchen. It’s a small house and this is where I feel the most inspired, right next to the baking and brewing. I was out late last night. My friends took me to a Joel Osteen convention at Sacramento’s new Golden 1 center. It was three hours of inspiring music and motivation. I wound up with a child in El Salvador by the time it was done. Joel’s family partners with the worldwide project and part of that is adopting a child from another country and paying a sum monthly so this child can have the basics we all take for granted: clean water, food, education, medicine. My heart aches for the world, however, I found that since I started donating monthly to a handful of local and global organizations that are reputable and doing great works…I sleep a bit better. I also have to remind myself that God created this world, all us humans, and He knows what He is doing even if I don’t. I have control issues. I’m working on it. But this isn’t a blog about the world or Joel. 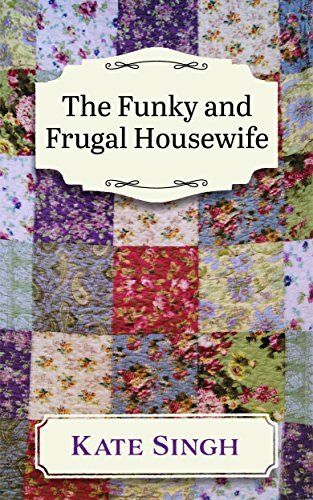 This is about being a homemaker and having it all work in your favor so you, as a mother and homemaker, may thrive to the fullest. Amen!! Three things: God, a great budget (and no debt), the skill of multi-tasking. These three things will make homemaking much easier and give you more time and peace. Coffee or strong tea is the magic elixir that will inspire you to get these things done. So, what does that look like to bring it all together? I like to start my mornings off with my coffee and a little Joyce Meyer and reading a bit from my Bible. I swear by it. A bit of time with God and some reflection on all the good things in your life, the blessings, and gifts, and you’ve set yourself up for a good day ahead. Multi-tasking is simply running the vacuum while the dough rises on the kitchen counter or writing a blog while running the washing machine. I clean the bathroom sink and toilette when the kids are in the tub for bath time. I fold laundry and watch a show on TV. I read something educational or inspiring while on the tread climber. Go work in the garden when you children are in the yard so you are keeping an eye on them and getting a little weeding done. Listen to educational/inspiring CD’s while cleaning house. I find seminars on YouTube for free and listen while I mop the floor or do dishes. Cook several things at once and then freeze half of it saving future days of cooking. You can even get a little crazy and do a ton of task all in one day and then have a few days to just read, write, and play! For example, I will do all my major house cleaning, laundry and almost a weeks work of cooking and baking in one day. I do this when I’m trying to really focus on a book or want to just play and get some reading done. Here’s the thing, you can have a clean, tidy, delightful home, plenty of home cooking, and take excellent care of the family without a lot of effort if you get smart about your work. Downsizing and decluttering help. That’s on other blogs of mine under “cleaning and organizing”. Now the frugal part. It is very wise to create a household budget. Know exactly what you have coming in monetarily and exactly how much is going out. You will need paper, pencil, statements, and a calculator. 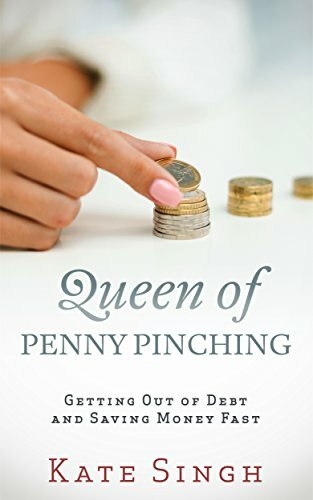 You’ll also need my Queen of Penny Pinching book. If you have more going out then coming in you must start cutting, cutting, and cutting. Cut out the cable, cut down the phone plans, cut down on utilities, cut the grocery allotment in half. There are so many things you can do to cut cost and save money. Another great tip is to learn to spend nothing beyond the rent/mortgage, utilities, and groceries. This is hard at first but with practice and some creative imaginings you can do it. Make it into a game. Find out just how many things you can do and have for free! TV can be some great entertainment and it can be free. I have read some bestsellers from the library…free! Parks, long walks, beaches, and forest…free! Movie night at home, also free. Rearranging the living room for a new look and for free. Starting a blog. Free at first or super cheap if you want to post it on all sites such as twitter and Facebook. Write and publish a book. Absolutely free. I have great advice on this on old blogs. Have a chat on the phone and coffee. Look of Freecycle and Free on Craigslist. I could go on but I have some chores to get back to. 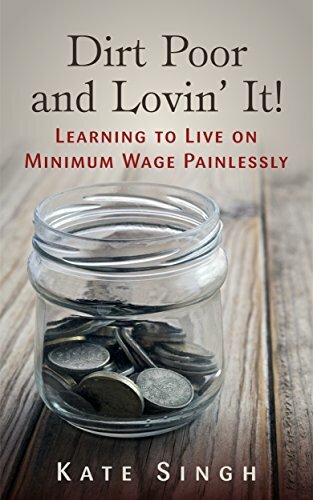 If you want a ton of tips and detailed ways to cut cost, save bags of money, get out of debt fast, and master the frugal life, get Queen of Penny Pinching or Dirt Poor and Lovin’ It! I have so many books out there to teach anyone how to make a buck stretch and make it fun. And all my books are .99 cents! How can you beat that! Brew up some tea or coffee and skim through my blogs for all kinds of tips and inspiration! Previous What does a frugal lifestyle feel like? We sponsor a child in Brazil through Compassion.. my daughter writes to her. I am a correspondent to a young adult in Kenya. It’s a blessing to encourage an older child who is almost an adult. I just sleep better at night if I am doing something to support others, especially children.